When did we start calling Michigan "the Mitten State?" It’s not hard to see why Michigan is often referred to as “the Mitten State,” but it is a little more difficult to figure out when folks actually started calling it that. Stateside production assistant Cass Adair tells us he became curious about Michigan’s nickname over a Thanksgiving trip to Tennessee. “The name ‘the Volunteer State’ in Tennessee is a little bit debated in that they don’t know which war people volunteered to fight,” he says. Whether it was the War of 1812 or the Mexican War, Adair tells us a lot of people from Tennessee volunteered, and the nickname stuck. 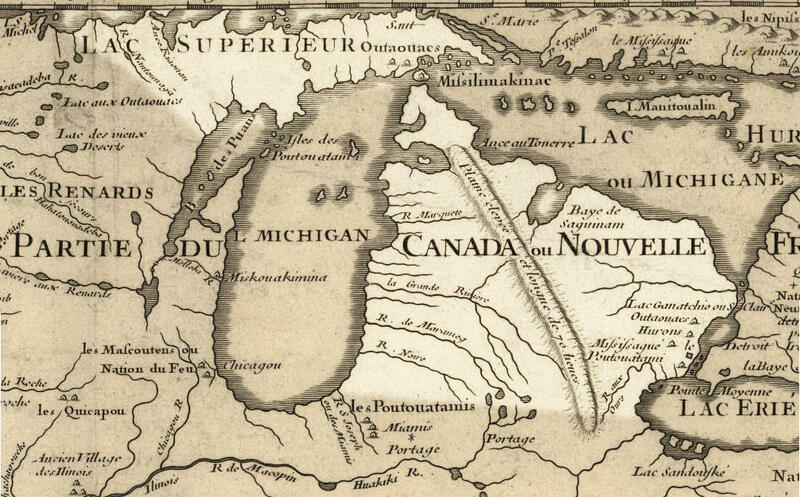 “It’s a fairly straightforward story, and I was thinking about it, and I was like, not all states have very straightforward historical events that spur their nicknames, so I started wondering about the origin of Michigan’s mitten nickname,” Adair says. 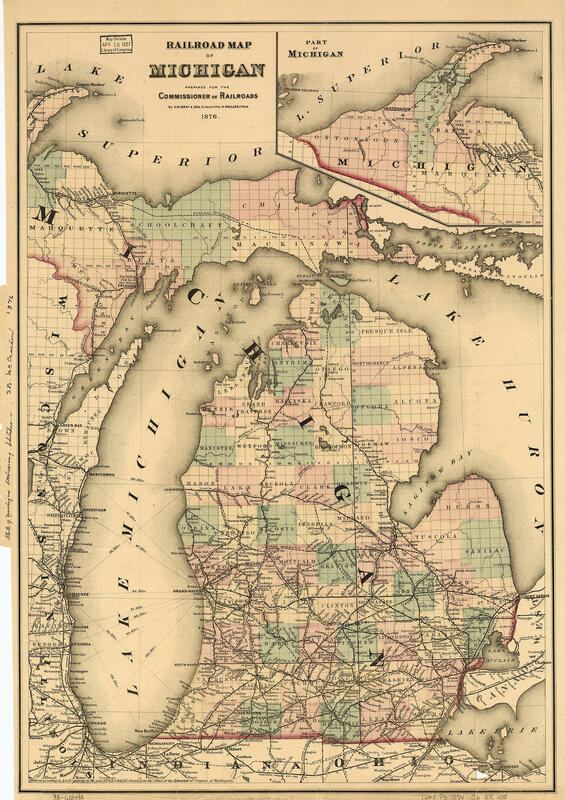 These days Michiganders have very accurate maps that clearly display the state’s mitten-like shape, but Adair tells us that wasn’t always the case. 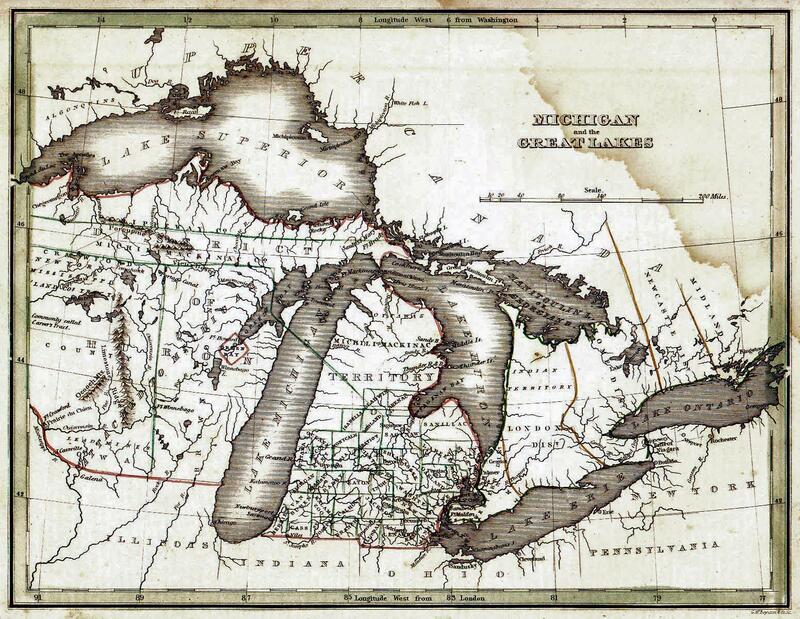 By the mid-1800s, Adair says “the Map of Michigan kind of looks like an open-mouthed shark … It’s not a very attractive look for Michigan, I think.”Adair tells us it wasn’t just the limits of technology that made finding Michigan’s shape a challenge. He explains that the territorial boundaries were still in flux, and no one would be sure where Ohio stopped and Michigan began until after the Toledo War. Adair tells us he found a lot of articles about “the great Wisconsin and Michigan mitten controversy from 2011,” Michiganders bristled at Wisconsin’s use of “mitten” in some of their tourism ads, though none of those articles managed to nail down the origin of the nickname in order to prove that Michigan had laid claim to it first. But Adair managed to get his hands on a number of sources from the late 19th and early 20th centuries that he thinks can help narrow it down even further. The first mention he found of Michigan as “the Mitten State” appears in the Michigan State Cyclopedia published in 1901. The earliest mention he found dates back to 1891, “in a scanned copy of a book that was originally owned by Henry Ford,” which references “the thumb of the mitten,” but doesn’t explicitly extend the likeness to the rest of the state. He tells us this is likely Faulk’s sole literary work, and its title is a mouthful: A Poem on Michigan: Giving a statement, in part, of its Resources, Products, Scenery, Natural Advantages; Also Industries of the Largest Cities. Adair says that in one of the smaller poems that makes up the larger “Poem on Michigan,” Faulk uses the phrase “the Wolverine State,” but also goes to great lengths to associate Michigan with the mitten. And when around her shores you come. Please note the cities near her thumb." Underrepresented in all of this, however, is the Upper Peninsula. Adair tells us he found one source from the 1920s in which someone from Marquette mentioned that “there was logging happening at the tip of the mitten,” so he reached out to the Marquette Historical Society. There are many ways to revisit the stories of our past. Textbooks, journals and diaries, audio recordings and photographs – they all tell tales that might otherwise slip into the white noise of history. David Tinder has been collection early Michigan photographs for all types for roughly 40 years now. His collection of some 100,000 vintage images will be preserved at the University of Michigan Clements Library. Tinder tells us he was always a collector of many things, but started gathering photos in 1964 when he bought a book on stereoviews. Author, filmmaker, and conservationalist James Oliver Curwood was a Michigan native in the late 1800s whose stories gained popularity all over the world. When he died in 1927, he was said to be the highest-paid per-word author in the world, with much of his passion for writing about nature coming from a close encounter with a grizzly bear. We talked to filmmaker and historian Mitchell Speers, who explores Curwood's life and works in an upcoming documentary, God's Country: The James Oliver Curwood Story. Listen to our conversation with Dan Austin, the founder of HistoricDetroit.org. Many from the region may not know it, but Detroit once was home to a thriving financial district with its very own Detroit Stock Exchange. Founder of HistoricDetroit.org Dan Austin recently wrote about this part of the city's history for the Detroit Free Press.